Porous materials play key roles in modern catalysis, storage and separation technologies. Metal-Organic Frameworks (MOFs) are crystalline, molecular solids built from the linking of organic and inorganic components with coordinative bonds. The controllable positioning of inorganic clusters or metal nodes –typically coined Secondary Building Units (SBUs)– and organic linkers into the three-dimensional space enables the assembly of topologically regular structures with surface areas ranging from 1.000 to 10.000 m2.g-1. 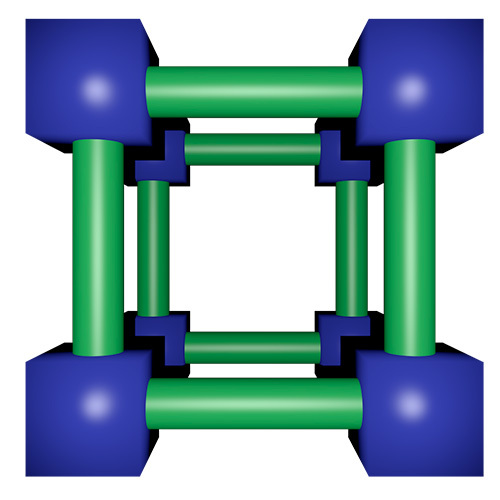 One single gram of a MOF can have a surface area of up to one football pitch. These empty pockets can be also molecularly engineered in size, shape and chemical function to render a rich family of crystalline solids with structural and functional diversities beyond compare. Though the field was initially focused on gas storage and separation, other applications like heterogeneous catalysis, sensing, magnetism, ferroelectricity, non-linear optics or drug delivery are increasingly gaining importance. MOFs have become a highly topical focus of research, with more than 20.000 structures reported within the last decade, and stand at the forefront of scientific research according to the 2014 Thomson Reuters Research Fronts that ranks Functional MOFs as the second main research topic in ‘Chemistry and Materials Science’. Regarding chemically demanding processes, MOFs still need to fulfil critical requirements like time-on-stream behaviour and leaching stability. Though high-temperature heterogeneous catalysis is likely to be dominated by inorganic solids like zeolites, MOFs display adequate thermal stability for low-temperature processes and unique chemical/structural control for an unlimited range of materials. However, except for particular cases, MOFs generally lack the chemical stability and structural robustness required due to weak coordination bonds that hydrolyse with moisture or chemical decomposition in presence of acid or base. This is arguably limiting the incorporation of MOFs into a broader range of practical applications nowadays. Besides chemical stability, the conventional insulating character of MOFs is another key limitation. Provided combination of high surface areas with good charge mobility, MOFs could become a game changer and make significant contributions to photovoltaics, photocatalysis, electrocatalysis, supercapacitors or sensing (transduction of electrical signal), to cite a few. 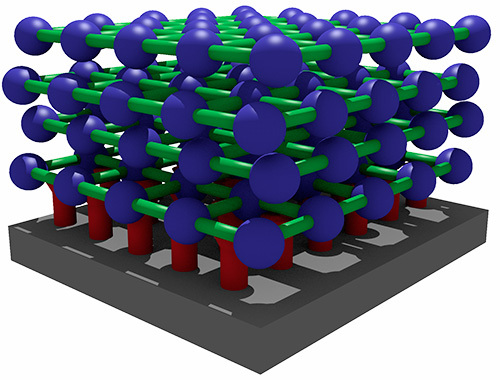 Assembly of 2D nanosheets with atomic thickness of layered MOFs also represents an interesting technological avenue. This would enable fabrication of solid-supported devices in which function would be reduced to a single/few layers whilst retaining most of the properties of the bulk alongside integration into a useful platform (direct contact with another materials). 1. New synthetic routes specifically designed for producing new, hydrolytically stable MOFs (new synthetic platforms for new materials). 2. More advanced crystalline materials to feature tunable function by chemical manipulation of MOF’s optical/electrical properties and pore activity in new solids or already available materials (function-led chemical engineering). 3. High-quality ultrathin films, reliant on the transfer of single-layers, alongside establishing the techniques required for evaluating their electric properties relevant to application (key to device integration). 4. Synthesis and derivatization of enantiopure MOFs for low-temperature applications (enantiomeric separation and asymmetric catalysis). 5. Defect engineering in MOF chemistry.